Two of the base’s Griffon helicopters had lifted off and were racing to assist the troops at the perimeter. As they did, the mortars shifted fire to the flanks of the horde and the helos flew over the fence and dropped to only fifteen feet above the ground. Both then turned broadside to the horde, and the door gunner opened fire with their miniguns, firing hundreds of rounds per minute into the horde. The miniguns fired so fast and with such ferocity that rows of infected literally melted before its onslaught, leaving gaping holes in the horde. As soon as one minigun fell silent, the pilot swiveled the chopper around 180 degrees and the other door gunner opened fire. 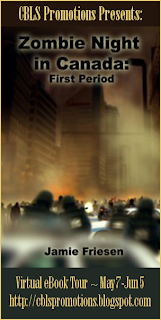 Despite the metal rain pouring down on the horde, it never once faltered. To Master Corporal Stone, the horde reminded him of the ocean, uncaring and relentless in its effort to wear down the beach in front of it. Methodically, he and his fellow soldiers kept pouring fire into the faceless horde bearing down on the base. Soon the horde was at the anti-vehicle ditch, and one by one they toppled into it like lemmings diving over a cliff. The first few hundred crumpled into heaps of broken flesh when they hit the bottom of the trench. They were unable to stand back up, but soon other infected were landing on top of those already in the trench, and they were able to stand up, clawing and reaching for a way out. “The infected have reached the trench!” Stone shouted into his radio. “Continue firing, as per plan Foxtrot.” His radio crackled back. Plan Foxtrot? Stone thought to himself. What the hell is plan Foxtrot? He hefted his rifle again and resumed firing, without giving it another thought. Hours ago, he had noticed the half dozen fuel tanker trucks parked by the fence, but had never really paid any attention to them or the crews manning them. Hoses from each of the trucks had been hung over the fence and drooped down again into the trench. Suddenly, torrents of gasoline began to spray from each of the hoses, dousing the infected nearby. In less than a minute, there were pools of gasoline everywhere. Master Corporal Stone quickly understood what Plan Foxtrot was. Several men opened fire with C-9 squad automatic weapons, sending bursts of fire walking up and down the length of the trench. Within seconds, most of the infected in the trench were burning. As each burning one stumbled around, it touched others, and ignited them too. In less than two minutes, every infected in the trench was on fire, and an evil, black smoke soared skyward. The sickening stench of burning and rotting flesh filled the air. Up and down the line soldiers vomited, while those with stronger constitutions simply turned green and held their breath. Stone’s constitution was no stronger than most and he too vomited, spilling out a vile mixture of coffee and sandwiches over the side of the tower and onto the ground below. The fire in the trench was so hot that it consumed the infected rapidly, burning their legs out from underneath them, and plunging their torsos into a massive puddle of burning flesh, which burned even hotter as the fat in the chest cavities was incinerated by the intense heat. Above the trench, troops kept firing into the oncoming horde, never wavering in their efforts to prevent the infected from breaching the base perimeter. The infected were oblivious to what was occurring to those in the trench, and all kept marching lemming-style into the flames in a vain effort to reach the base. Eventually, the numbers of infected began to thin and within an hour, the only infected near the base consisted of those being roasted in the trench. Master Corporal Stone looked out over the expanse at the mounds of corpses, some still twitching and moving occasionally. Aimed sniper fire began to dispatch those who had survived the onslaught above ground. 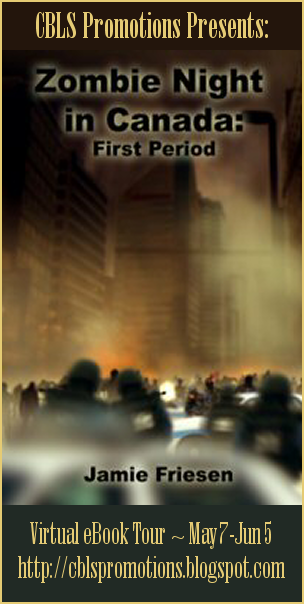 The fire in the trench burned for hours, and smoke poured into the sky for a day after that, as the remains smoldered. Jamie would like to offer readers a special discount. Jamie Friesen was born in Lahr, West Germany while his father was serving with the Royal Canadian Air Force. He attended the University of Alberta where he obtained a Bachelor of Arts in History, and followed it later with a Masters of Arts in Communications & Technology. After obtaining his Bachelor's degree, Jamie went abroad and taught English in Japan and Taiwan. He now lives in Edmonton, Canada with his wife and daughter, working in the Public Relations field and writes in his spare time, which usually translates to early mornings and lunch time. 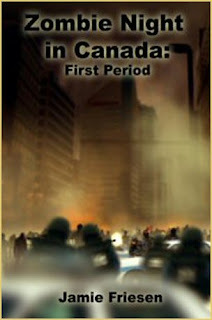 Enter below for a chance to win a Ebook copy of Zombie Night in Canada: First Period by Jamie Friesen! Great excerpt. I have not read too many zombie stories. I need to change that.